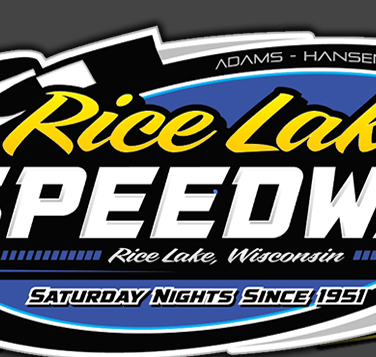 RICE LAKE, WI (August 29) - The next to the last race of the 2015 racing season at the Rice Lake Speedway saw Season Championships decided in all five classes. Racing home to the track titles were Jason Havel, Cody Kummer, Shane Halopka, Curt Myers and Kevin Adams. Two make up feature races were also run from last week's rain shortened program. Winners of those two races were Darrel Hazelton and Dave Baxter and the points from those two races determined that Adams and Jason Forehand would be the point champions in the Modifieds and Super Stocks respectively, to go along with point titles earned in the other three classes last week by Halopka, Kummer and Nick Traynor. Shawn Amundson and Havel shared the front row for the Pure Stock feature race with Amundson taking the early lead. Havel was right on Amundson's tail and quickly made a move for the lead. He drove to the high side of Amundson to take over the top spot before the first yellow was triggered for a spin with four laps complete. Havel continued to lead on the green but Amundson was not about to give up as he applied extreme pressure to Havel, riding his rear bumper and occasionally giving Havel a nudge to let him know he was right behind him. On two occasions Amundson was nearly able to get past Havel but both times Jason fought him off as the race was interrupted by a couple more yellows for spins. The last three laps were a shootout with Havel being pressured by Amundson in every corner as Shawn tried everything he could to get the lead back. However, Havel, the veteran campaigner, would not be flustered and he held his line and didn't give Amundson any openings as Havel drove home for the win. C. J. Wagner finished a strong third and Bob Thompson, making his first start since a medical issue caused him to park his car several weeks ago, finished a solid fourth and Andy Ladd cracked the top five for the first time this year. The win was Havel's seventh of the year at Rice Lake. Kummer finished off the regular season strong at Rice Lake, guaranteeing the point title last week and then winning the last two regular season feature races. Kummer had all kinds of pressure from Kori Richter Saturday, but he held off all challenges for the win. After a first lap wreck eliminated the cars of Jay Kesan and Simon Wahlstrom, the rest of the race went nonstop with Richter trying his hardest to get past Kummer. Kori moved to the second groove and pulled up beside Kummer several times early in the race, but Richter could never quite complete the pass. Meanwhile, Hunter VanGilder started to slow with a deflating tire as both Kevin Bogdanovic and Sam Fankhauser got past him and moved in to make it a four car battle. Richter continued to pressure Kummer, but Cody would not slip up and Richter had to settle for riding his rear bumper. The last few laps saw Richter tight behind Kummer with Bogdanovic right behind both of them but none of them slipped up and that's the way they crossed the line at the end. Fankhauser settled for fourth with Adam Soltis completing the top five. Kummer's win was his third of the season at Rice Lake. Halopka is chasing a national championship and his clean sweep Saturday was very beneficial to him, as well as granting him the bragging rights in the Midwest Modifieds for the year. Halopka started on the pole and led the entire distance for the win, being pressured only briefly by Travis Anderson early and then on a couple of restarts by Ryan Viltz. Viltz fell back to fourth early but then drove by both Jamie Bisonette and Anderson to take over second and then he tried to solve the riddle of how to pass Halopka. Viltz tried both the high and low side but neither one was fast enough to catch Halopka, who had moved out to a six car length lead. One of the most impressive performances was turned in by Kyle Johnson, who started seventh on the grid and went to the cushion immediately and he made it work as he drove past car after car on the high side of the track as he marched to the front. Late in the race he passed Anderson for third and was closing on Viltz as the laps ran out. Halopka cruised home unchallenged at the end as he earned his sixth victory of 2015 at Rice Lake. Anderson settled for fourth at the end with Mark Thomas making a last lap pass of Bisonette as he edged Jamie and Austin Ellis for fifth. Myers is also chasing a national point title and his victory in the Super Stock feature race was another important one to him. He and Jason Forehand had an intense battle for the lead in the opening laps before Myers was able to edge into the top spot. A lap three grinding collision between John Erickson and Jim Cimfl saw both cars eliminated and Erickson catch a ride in the ambulance to the pit area after he was shaken by the hard hit. The last eighteen laps ran off nonstop and Forehand was all over Myers as they took turns adjusting their line on the track with Myers first running high and then gradually edging down the track. Mike Anderson was running a close third while on the move using the top part of the track was Ben Hillman. Hillman, making his first run of the year, was looking good as he closed on Anderson in a challenge for the third spot. Myers, meanwhile, had settled in as the leader and began to stretch his advantage over Forehand. Jason made a late change, moving to the high side of the track and it seemed to help him as he closed somewhat on the leader, but he ran out of time as Myers racked up yet another feature win at Rice Lake, his eighth of the year. Anderson stunned the crowd when he lost control and spun out of the third spot, giving Hillman that position with Bart Steffen and Luke Plank next in line. In the makeup Super Stock feature from last week, Hazelton surprised by leading all twenty laps in the nonstop race to take his first Super Stock feature race at Rice Lake since the 2009 racing season. Hazelton, who just recently returned to weekly action after missing most of the season, started on the pole, got the jump on Jim Harris and pulled away early to build up a big lead. Eventually Forehand and Anderson worked their way forward from the fourth row, but Hazelton had built up a big lead by then and neither was able to cut into it substantially. Eric Olson had a good run going in second and looked to be the best bet to catch Hazelton when he suddenly dove into the infield with major issues which ended his night of racing. Hazelton had plenty of distance on the field and he raced home for the big win for the Chippewa Falls driver. Forehand and Anderson followed with Steffen and Harris next in line. The best was saved for last as after a first lap spin that slowed the action, the Modifieds put on a twenty lap thriller that had the crowd on their feet as they witnessed a great duel between Adams and Mike Anderson that was not settled until the final fifty feet of the race. Adams got the first jump but after the race was called back by the yellow, Anderson got the jump on the second start and took the early lead. Adams tried to stay with Anderson but fell back a few car lengths and was soon being pressured for second by Matt Leer and Dave Cain. Anderson continued to hold the lead and after Adams withstood the challenges for second, he started to slowly reel in the leader, catching Anderson by the half way mark of the race. Things then turned into a great battle between the two as Adams slipped by to take over the lead, only to Anderson return the favor and regain the top spot. The leaders caught the back of the pack and things got even more exciting as they tried to wiggle their way through the heavy traffic. As they got caught up with the slower cars, Ashley Anderson, who had charged up from eighth, and Leer both caught the leaders and suddenly four cars were fighting for the lead. However, Anderson and Adams, sometimes going four wide around the track, went able to separate themselves from their pursuers, and they were left to settle the battle. The white flag saw Anderson with a one car length advantage but Adams closed as they raced down the back chute for the final time. Adams got a great run off the final corner on the high side and as the two strained to get to the line, Adams was able to edge in front by about two feet to take the win in what was one of the best races of the year as the crowd was on their feet for the finish. Ashley Anderson edged Leer for third with Cain completing the top five. Adams, another driver fighting for a national point title, earned his eighth Rice Lake win of the year. In the makeup feature for the Modifieds, Dave Baxter, continuing a fine season for the Eau Claire driver, won his second feature race of the year at Rice Lake as he led all the way for the win. Baxter was pressured early by Cory Mahder before Baxter was able to stretch his lead. Adams started eighth and had worked his way past Cain into second when a flat tire ended his race and triggered the only yellow of the contest. Back on green, Baxter once again pulled away from the field and stretched his lead, with Mahder still trying to catch him. However, there was no stopping Baxter as he drove home to a rather easy win over Mahder and Cain. Leer and Mike Anderson were next in line. The regular racing season at the speedway is now complete. Left on the schedule is a one night special set for next Saturday, September 5th. 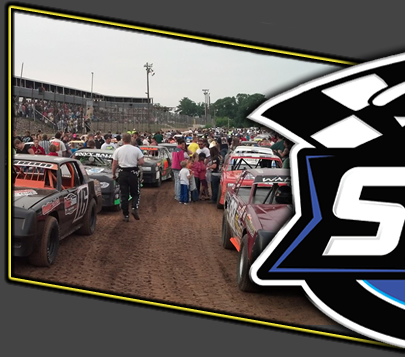 All five classes will be in racing action with an increased purse for all five divisions. The pits will be open at Noon for any teams wishing to arrive and set up early. The draw cutoff will be at 6:30 p.m with hot laps and racing to follow. Campers are welcome and the lower parking lot has been reserved as the camping area. Any questions on this event should be directed to Dave Adams at 715-205-2861. 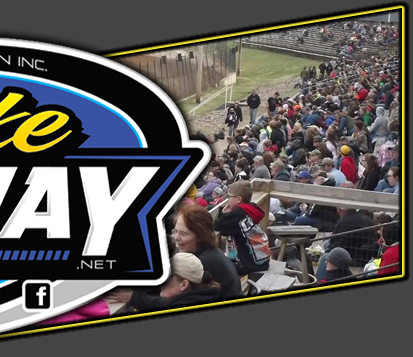 This one day event will be the final race of the 2015 racing season.